I am extremely excited for Ransom Riggs' new book, Hollow City! (The sequel to Miss Peregrines Home for Peculiar Children) I absolutely adored book one and seriously can't wait for Hollow City to be out! Rigg's writing is absolutely incredible and it hooked me from the start. I can't wait to go on another adventure with Jacob and his new friends! I plan on rereading the first book right before Hollow City come out, its release date is January 14th! I am completely in love with this trailer!! It's so hauntingly beautiful and does an excellent job at capturing the feel of Ransom Riggs' books. Click here to check out my review of Miss Peregrine's Home for Peculiar Children. 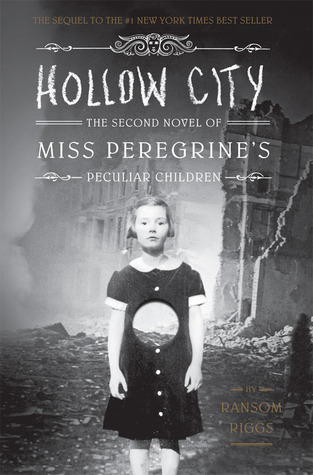 So who else is excited for Hollow City! ?